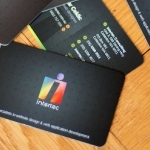 Business cards are still alive and kicking, for the next couple of years anyhow. 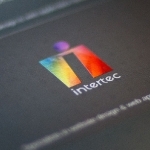 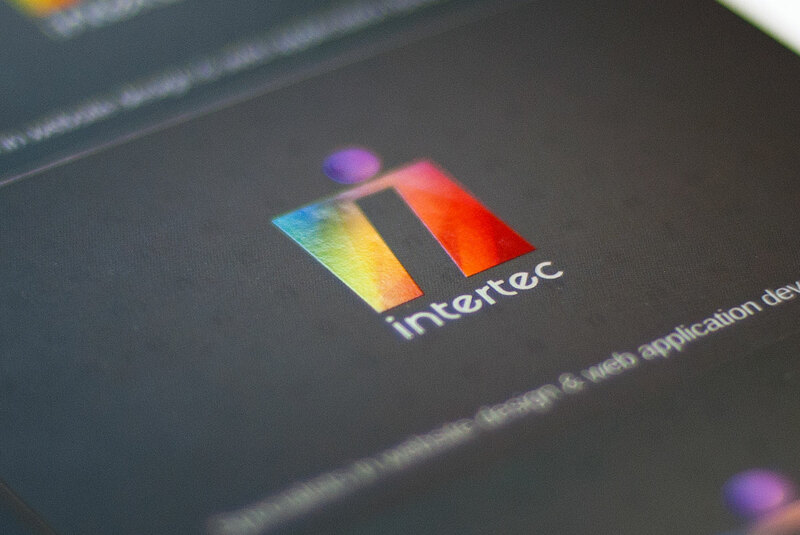 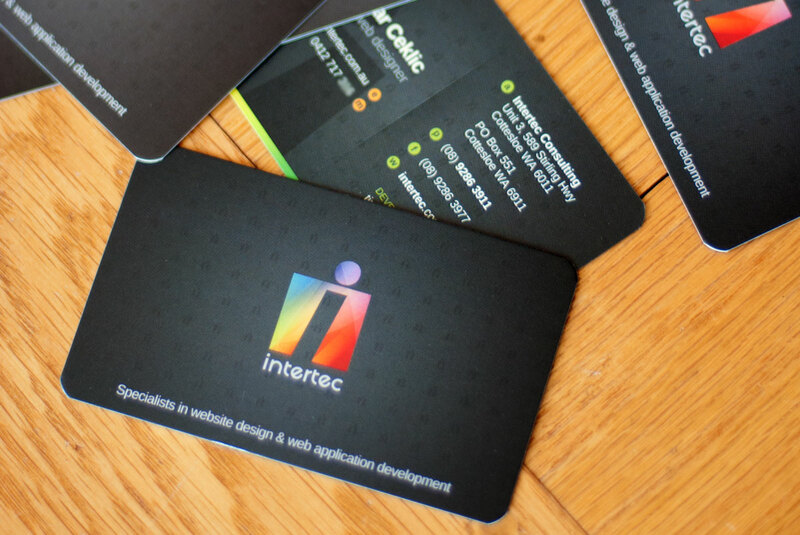 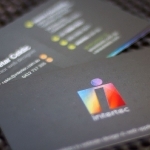 The new Intertec card features a minimal front that is focused on the brand and what we do. 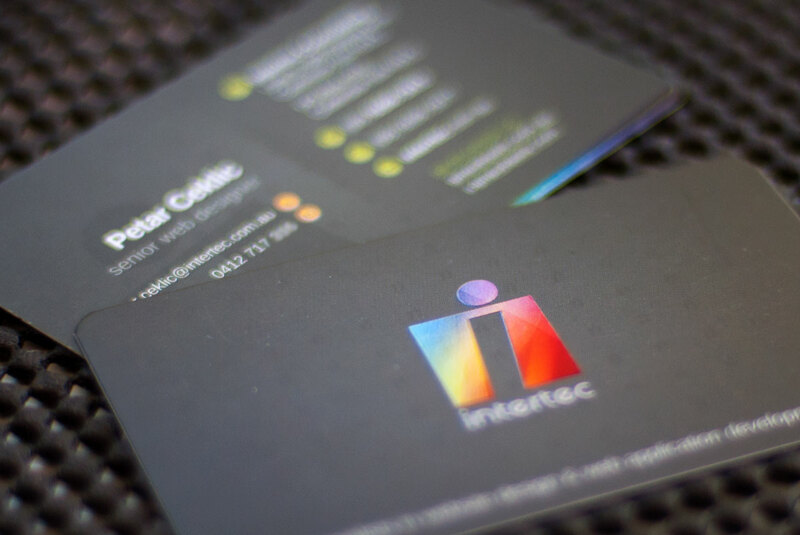 My favourite part of the cards is the spot gloss finish that is on the logo, giving it a satiny texture that makes you want to touch it.